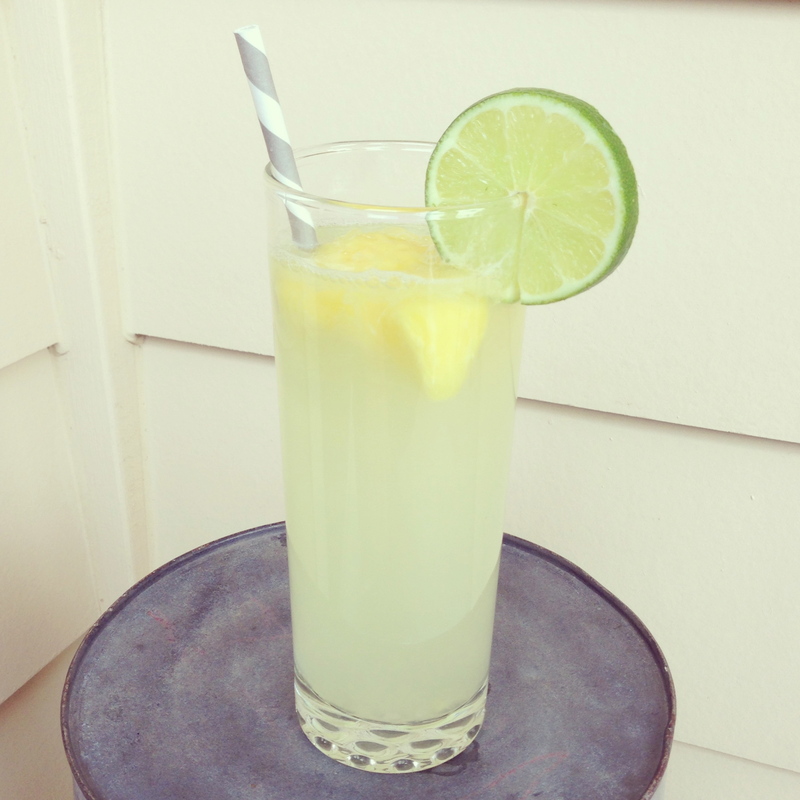 Limeade is one of my very favorite summer drinks! It’s so easy to make at home, half the price of buying it already made, and it’s much more fresh! 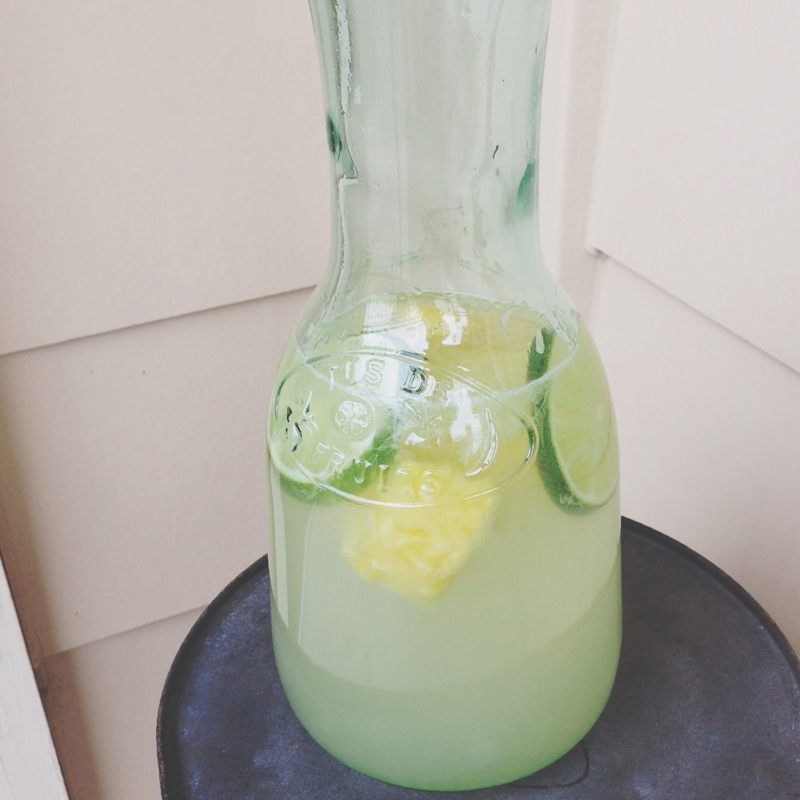 I used pineapple to give this limeade recipe a nice tropical flavor. Juice limes. 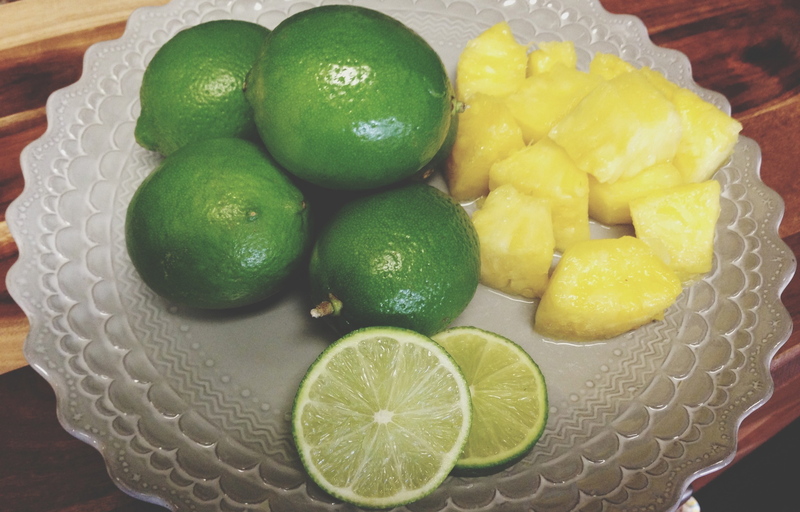 Before slicing limes, microwave for 20 seconds for easier juicing. If you don’t have a citrus juicer // stick a fork into the flesh of a halved lemon and twist as you squeeze the lime. Dissolve sugar in 2 cups of water (warm water will help dissolve sugar, or heat in a small saucepan until dissolved). Stir in lime juice and more water until you’ve reached a good balance of tart and sweet. Add chunks of pineapple. Refrigerate for several hours before serving, so that the flavors can really blend. If you’re more of a lemonade person, you can find my recipe for blueberry lemonade here. I loved picking out different kinds of fruit to flavor these drinks. Try one of these or have fun concocting your own flavor!